We, at Ravji Khoda And Sons, are a renowned Manufacturer and Exporter of HDPE Rope, Polypropylene Rope, PP Rope, etc. 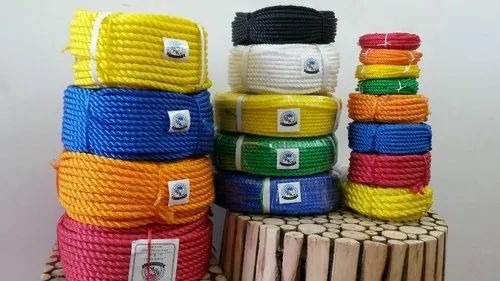 These Polypropylene Ropes are available in 3 Strand & 4 Strand From 2 MM to 42 MM with Red, Blue, Green, Yellow, Orange, Black, Brown, Redwood, Pink Colors. With the usage of most dynamic and modern technology . We have producing high quality product under the brand name ‘RK Ropes’ at production capacity of 200 MT Per Month. The unit has been established in industrial area of Rajkot city of Gujarat, which is well equipped with latest technological machineries, finest infrastructure, proper road connectivity, great communication facility and all that things which are primary necessity for an industry to grow in polypropylene rope market.